Racing frequently undeniably results in physiological and mental benefits that training alone can’t provide. We are able to push harder in a competitive situation. But to really step it up over your favorite distance, you need to get out of comfort zone and race other distances as well. In this article, I’ll make a case for year-round racing at your very best. As dedicated runners, we train for more than just ‘health and fitness’. We are in it to test our limits, to run faster, to set personal records – or at least a new seasonal record. After years of running, we often stick to the race distance at which we fare best compared to other runners. Some of us are naturally faster, others thrive on endurance. That’s largely due to our genetics. While a focus on one race distance is necessary to run your best, further improvements with the same repeated stimuli are often hard to come by. Even the best training program will have you stagnate at some point. Sure you could ramp up your overall workload. But even that will come to a breaking point where time or injury resilience become limiting factors. A better approach is changing race distances frequently. Most of us participate in 10 – 20 races a year. Why not training for 1 race distance up or down occasionally? And by that I don’t just mean tune-up races. Rather a serious attempt over several weeks to push past our comfort zone in either speed or endurance. Eventually, this makes you stronger at your favorite distance as well. There should be a guiding structure throughout your season, of course. 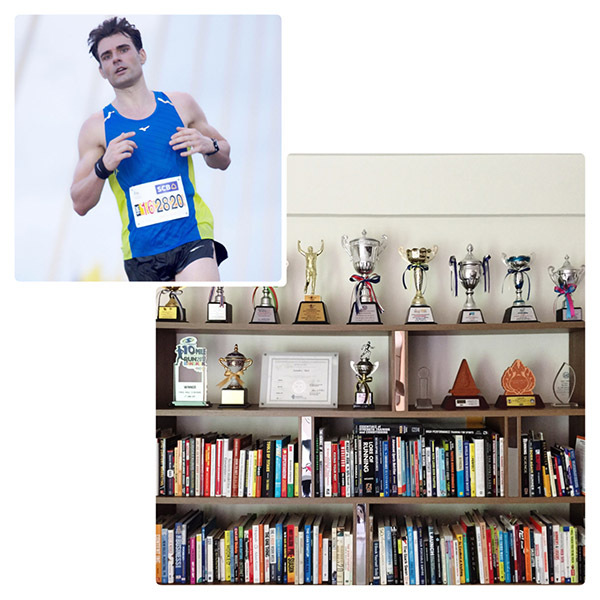 It isn’t helpful to jump back and forth between the 5K and the marathon. But a focus on shorter, faster races early in the season can lay the groundwork for a new marathon PR attempt later in the season – or vice versa. If you want to run faster start with an honest assessment of your current strengths and weaknesses. Endurance: One of the best ways to increase endurance is stepping up your weekly mileage and adding miles to your long run. It’s generally not a good idea to increase volume and intensity at the same time, though. For that reason I recommend to train for 1 distance up, e.g. training for a half marathon instead of a 10K. This adds volume and places slightly less emphasis on intensity. 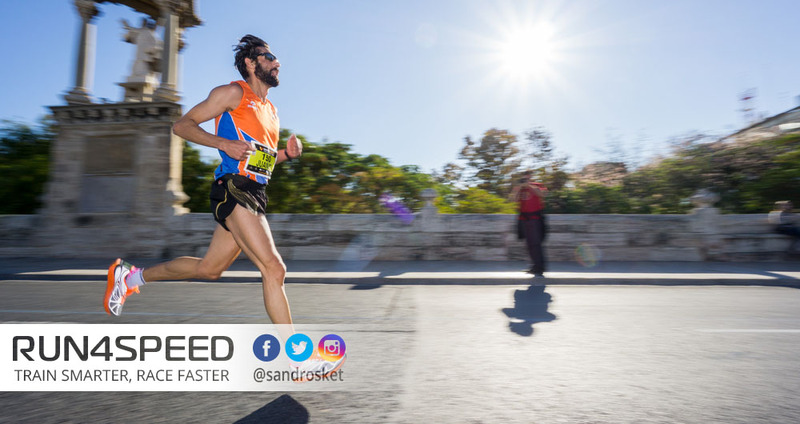 Lactate Threshold: The ability to process lactate as a fuel source is best trained at efforts between 10K-pace and HM-pace. For 5K runners a 10K training program does the job well. For marathoners a half marathon program is a great vehicle towards a higher lactate threshold. All that without straying too far from the primary race distance. This can also include 10K and HM tune-up races. 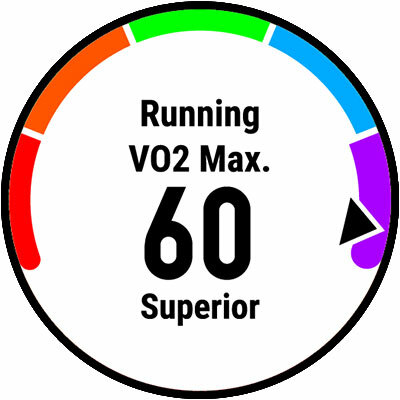 VO2max: Since the effective range of VO2max training are efforts between 3K and 10K pace, 5K training lends itself perfectly to raise your maximal aerobic capacity. You will be surprised to see your VO2max value going up despite a drastic drop in overall training mileage. This is also a distance that can be raced frequently without interrupting your training too much. Neuromuscular power: Your stride power and cadence are best improved with efforts faster than 1500m race pace. That results in more speed and an improved running economy. I don’t expect you to become a middle-distance runner but if you lack speed it’s probably a good idea to join a few session at your local track club. Focus on 100 – 200m repeats with all the rest you need. In summary: A peak performance requires targeted training specific to your race distance over several weeks. But on the big picture of long-term improvement, preparing and racing other distances are often necessary to get to the next level. Assess your strengths and weaknesses and map out your season accordingly. Do you lack speed or endurance compared to your peers of equal ability?